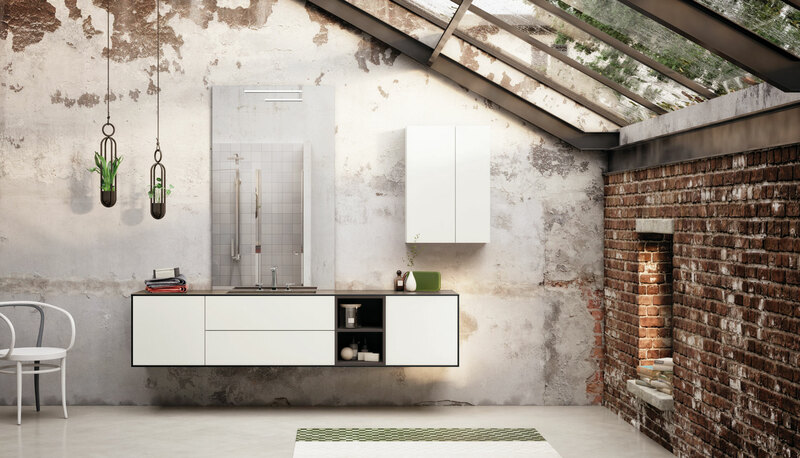 The wood-effect HPL that wraps around the base unit and becomes a top with an integral basin adds warmth to this minimalist arrangement featuring a base unit with oversize drawers, a white lacquered wall unit with push-to- open doors and a large, polished-edge mirror. 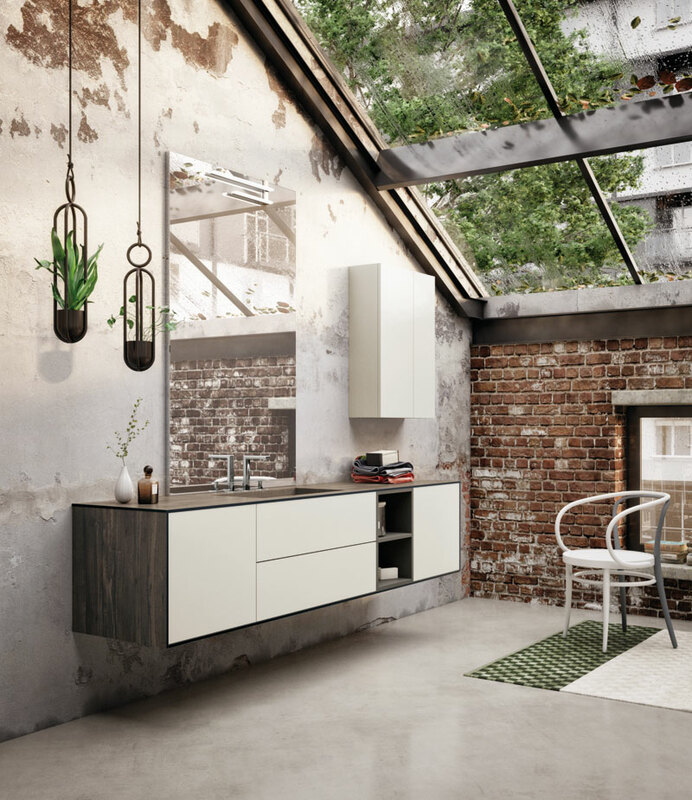 The open shelving is at arm’s length from the basin so that everyday objects can be stored away easily, leaving the top clutter-free. 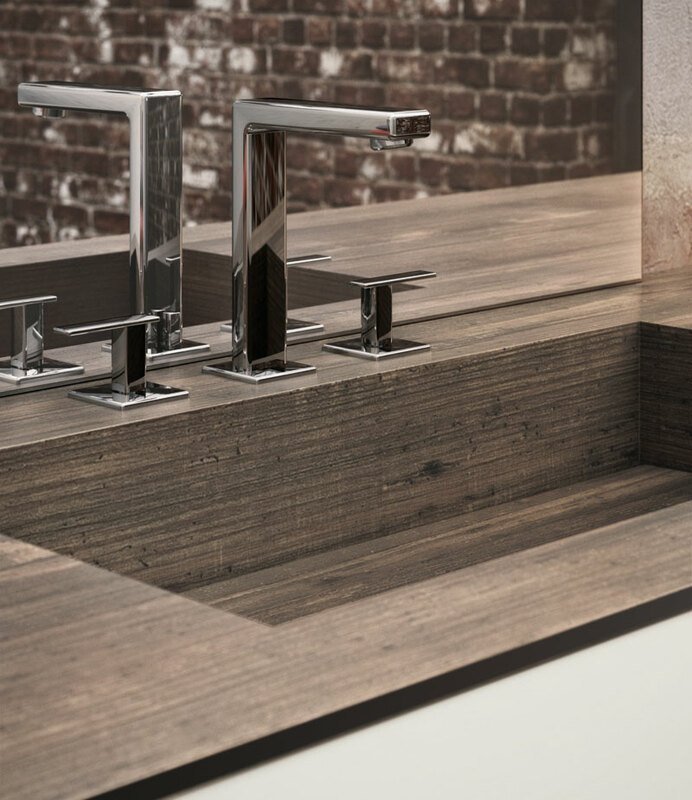 The textural look of the Root Old Wood HPL finish of the frame is picked up by the integral basin and the standard supplied false bottom.